or at least RISD Students. A series of books is available from Todd, and the Prov-centric one has an Essay by Amy Sedaris. HipSTAR! From the AMMO Books Site (where it is available for pre-order for a mere $19.95 in case you don’t know any real life RISD students yourself). 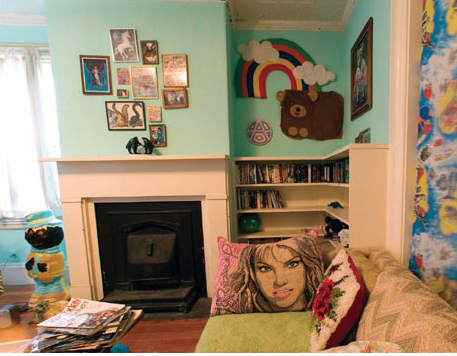 “A testament to ingenuity on a budget without any parental restrictions, Home Studio Home celebrates unique and unfettered creativity.” Isn’t that what living in Providence is all about? P.S. I think the one about John Waters looks the best. I even have a facebook!